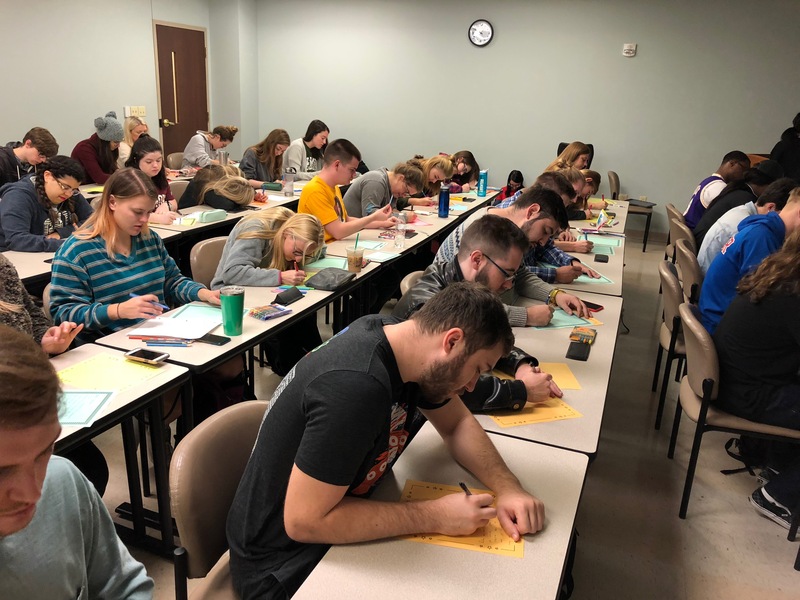 The Belmont Psychology Club and Psi Chi (known together at PC2) hosted a community service convocation event, Bert’s Big Thank You, that allowed students to write thank you cards for soldiers serving overseas who are unable to come home for the holidays. Together, the club was able to create more than 150 cards to share. The Bert Show, a national morning radio show, has helped to express a big ‘thank you’ by sending more than one million hand written letters of thanks to every service man and woman deployed outside the United States. Over the past several years, every single soldier deployed outside the United States has received a letter of gratitude on Thanksgiving Day.